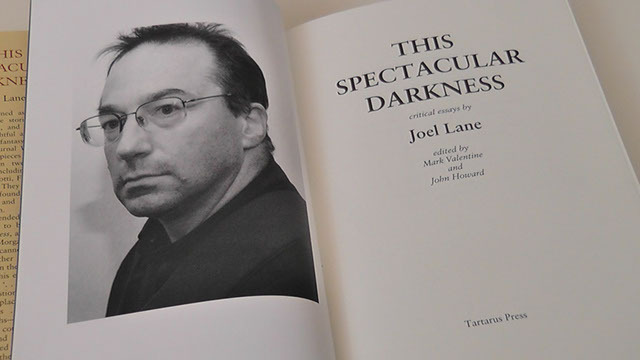 A book of critical essays is a volume to dip into, so in writing about this Tartarus collection of Joel Lane's non-fiction I will be jumping about all over the place and coming back to it over the coming days and weeks. I hope this won't seem too bitty. One of the marks of a good critic is that they make you want to read authors you are unfamiliar with. This is certainly true of Joel Lane's assessment of Cornell Woolrich. 'The Dark Houses of Cornell Woolrich' is thoughtful, lively, and often funny. Thus Lane ends a paragraph on the 1950 novel Savage Bride by saying, 'If any reader feels compelled to revive this novel as a 'lost pulp classic', I have one suggestion: don't.' Woolrich was clearly a Man With Problems who often wrote quite badly, but after reading this essay I don't think I'll be able to resist buying at least one of his books. Another virtue in a good critic is to remind you of authors you really should have read more, whose books you should seek out. The essay on Theodore Sturgeon, 'The Territory of the Others', is a case in point. I have read a few novels and perhaps a dozen of Sturgeon's short stories. Lane rightly points out that at the heart of all Sturgeon's fiction is a preoccupation with human identity, whether he was writing horror or science fiction, Lane points out that the author never quite fits in either genre. He was truly a one-off, and I wonder if he has been somewhat neglected because of this? Harlan Ellison's works were never easy to get hold of when I was a lad, and like Sturgeon he is not easy to classify in genre terms. Lane's reasonable assessment - based on far greater knowledge than mine - is that Ellison has little interest in the 'genuine' supernatural, but finds it useful as a source of metaphor. The demons are almost always personal. And then there are those Ellison titles, such as 'The Resurgence of Miss Ankle-Strap Wedgie', 'I Have No Mouth and I Must Scream', and 'Pennies, Off Dead Man's Eyes'. Other highlights are 'Pretty Maggie Moneyeyes', a good variation on the traditional ghost story, and 'Croatoan', which is unusually controversial even for Ellison. Few horror stories are as horrific as 'Croatoan' because it focuses entirely on very believable human frailty and offers no convenient cop-out. And that's all for now. More later on this remarkable book. This Spectacular Darkness - Part 2.